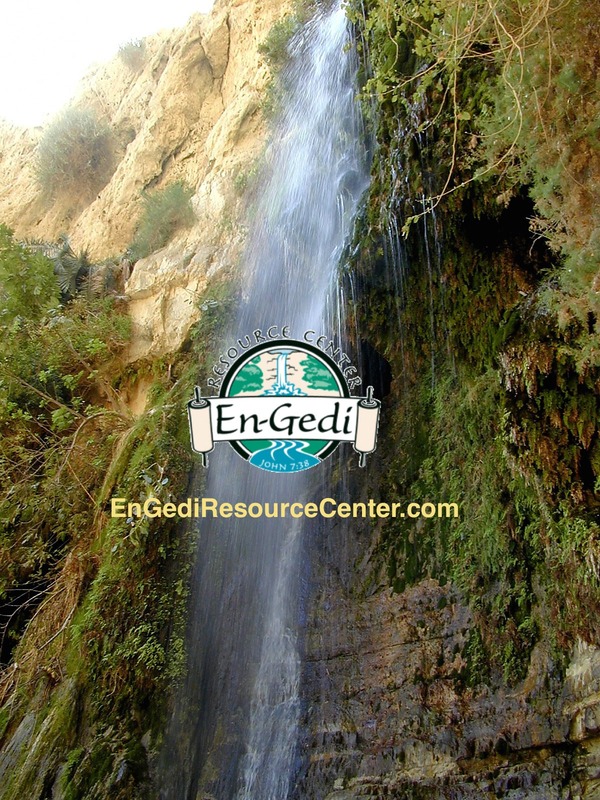 The group I traveled to Israel with in 2004 (along with others tied to the En-Gedi Resource Center) was called Emmaus Educational Services. The name was chosen because the leaders wished for people to better come to know Jesus through their experience, even as Cleopas and his friend did when they encountered Jesus on the road to Emmaus (Luke 24:13-35). 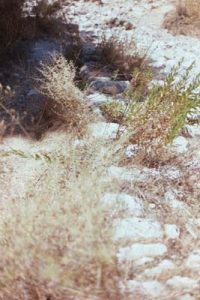 By visiting places where Jesus walked and taught, where he fished and healed, where he died, arose, and ascended, we grew to know him better — getting our feet wet and dusty where he did. We knew the Bible; but there’s something about getting to know the land of Israel that makes Scripture come alive. But Cleopas and his friend, in a sense, had the opposite need. They knew the land and had experienced many of these events with Jesus. They needed to know Scripture in a new way: from the other side of Easter. So, just as we needed to go back to their side, by walking the dusty roads, they needed to be transported to our side, to see from a post-Easter perspective this Jesus they had been following. They needed to read a new reality back into the ancient scrolls of the Torah and Prophets. 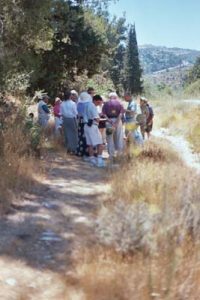 As they walked the familiar Roman road from Jerusalem back home, they talked about the events of the past few days. They shared their hopes that Jesus might have been Messiah, their distress over his crucifixion, and their confusion over the morning reports of an empty tomb. Soon they were joined by another traveler who started by sharing his ignorance of these recent events, then upbraided them for not seeing fulfillment of Old Testament prophecy in what had happened. On that seven-mile journey, he gave them a seminary course on promise & fulfillment that left them with heartburn! Only when they arrived at Emmaus did God open their eyes to see Jesus, and then he disappeared, after which they ran seven miles back to Jerusalem (uphill most of the way!). This has always been one of my favorite stories in the Bible. Perhaps that is part of the reason I am so passionate about trying to see Jesus in the Old Testament passages, patterns, and symbols. What I wouldn’t give to have been in Jesus’ class that day — and the following 39 days — as he taught his disciples how the Old Testament speaks of him. Thankfully the New Testament retains a lot of the lessons Jesus taught them, which is why it is so important to read the New Testament with “Jewish” and Old Testament eyes. Walking the road to Emmaus on our last day in Israel — and continuing to walk that road every time I study the Bible and try to “see” Jesus in the Old Testament and get to know him better — makes me feel a little closer to Cleopas, almost as if I were that unnamed disciple (maybe that’s why he’s unnamed! ), walking with Jesus and getting spiritual heartburn.